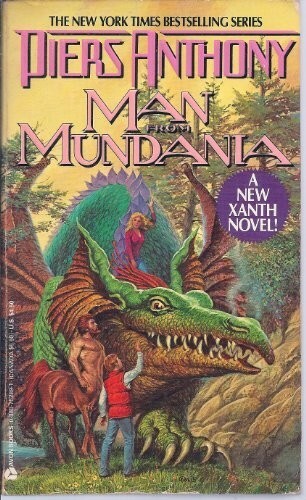 For a bored, young princess of Xanth, there's nothing more exciting than a Quest. Especially when all you do is sit around Castle Roogna. But when Ivy uses the Heaven Cent, it takes her not to the top of Mount Rushmost, where the winged monsters gather, not to the sea where the merfolk swim--but to Mundania, a world much like out own (that is, boring). It is here that she meets a young college student so dull that he doesn't even believe in magic, or princesses, or Xanth! Does he have a lot to learn. The thrilling climax to the trilogy started in Vale of the Vole and continued in Heaven Cent.